This weekend is SparkCon, a mixture of all sorts of creative expression, from Programming to Painting to Poetry. 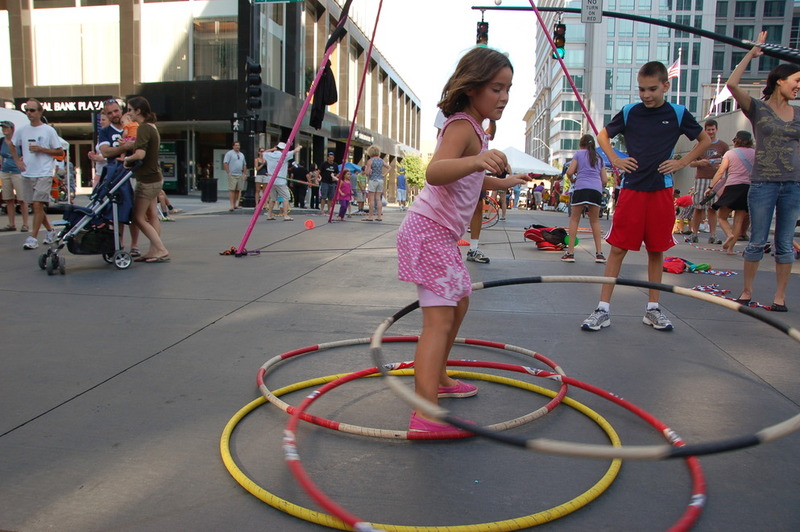 SparkCon is for all ages (but not everything is for every age), and kids have their own Kids Zone at Hargett and Fayetteville as well as a City Design workshop for budding city planners. (Our City, Your Design: Design a City Workshop for Kids). But SparkCon is a lot of fun to just walk around, watch the street artists, join a drum circle, or enjoy a short pop-up theater performance. Browse the comprehensive schedule at http://www.sparkcon.com. Thu-Sun 9/12-9/15. The picture is from a previous SparkCon. I also wrote an article about SparkCon last year.